Check out the Calendar for galleries in northern Virginia where you may view my work in person or view my electronic Gallery right here. Due to my love of the outdoors, I began sketching outside as a teenager and with encouragement from my high school art teachers, I decided to major in art and art education in college. After a career in education & libraries, I rejuvenated my dormant painting skills in 2003 and decided to pursue art professionally shortly thereafter. My artist's voice began to emerge more than a decade ago working in pastels and acrylics when I began painting the north shore of Lake Superior and then the coast of Maine where I grew up. Since then, I've broadened my subject matter to include what I find locally (Virginia) and while traveling. I've also returned to oil - a media I explored in college. Themes in my work continue to evolve from my quotidian outdoor walks, from my youth spent in New England, and current explorations near and far. Privately owned and commissioned artwork is located locally and from Maine to Colorado. 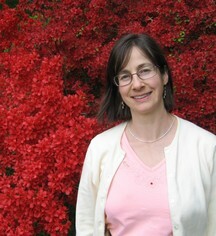 Ms. Gillmann also has work in two U.S. government collections.